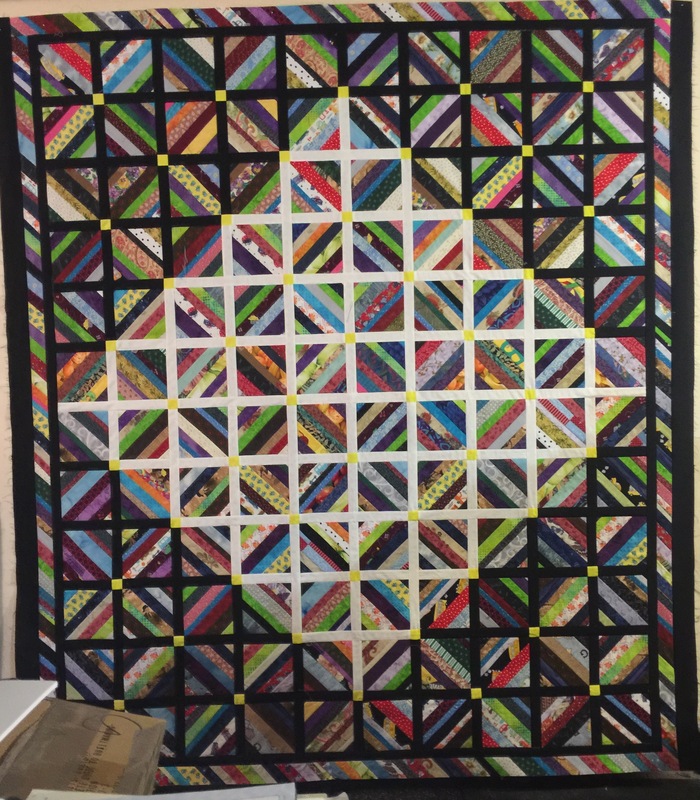 I’ve been having fun making string quilts over the last several months and here is the one that’s on my wall today. All I have left to do is to get the top and bottom black outside borders sewn on and the top will be complete. I decided to put a string border on this one. What do you think? I do like the string border, very appropriate. I especially like the black and white sashings. Very striking. YES…love the diagonal string border. Love your string quilt with the light in the center and dark around the light. The string border is perfect. You have the colors just right. I will be thinking of you working on all those UFO’s. Thanks for sharing. Awesome design for a string quilt. I love the border too.